From your first ride without training wheels to a summer cruise at the beach with your friends, the thrill of riding a bike never gets old. Even if you haven’t hopped on a bike in a while, it won’t take long for the smiles and laughs to come back. At Schwinn, we’ve been building our bikes to meet the Schwinn Quality standard for over a century. We are confident that you will experience our devotion to cycling every time you ride a Schwinn. Come enjoy the ride. Dimensions: Height: 41.0 "; Length: 68.0 "; Width: 24.0 "
Growing up, there was a glamour synonymous with Schwinn. Even as children we just KNEW that Schwinn meant greatness. They offer the very best in bikes and have models available for all levels of recreation & sport biking. Myself, I'm a leisure biker. I prefer to take it slow and enjoy the gorgeous scenery that comes along with the Summer months here in the Northeast part of the country. The Schwinn Legacy Cruiser allows me to do just that. This model is a 1-speed and is meant specifically for leisure rider's like myself. The frame style is reminiscent of some of the original Schwinn models you may remember from childhood. The vibrant colors, simple style, and wide-body frame allow for a smooth comfortable ride. I'm happy to say that even after all of these years, Schwinn still embodies the same greatness that I remember from childhood. 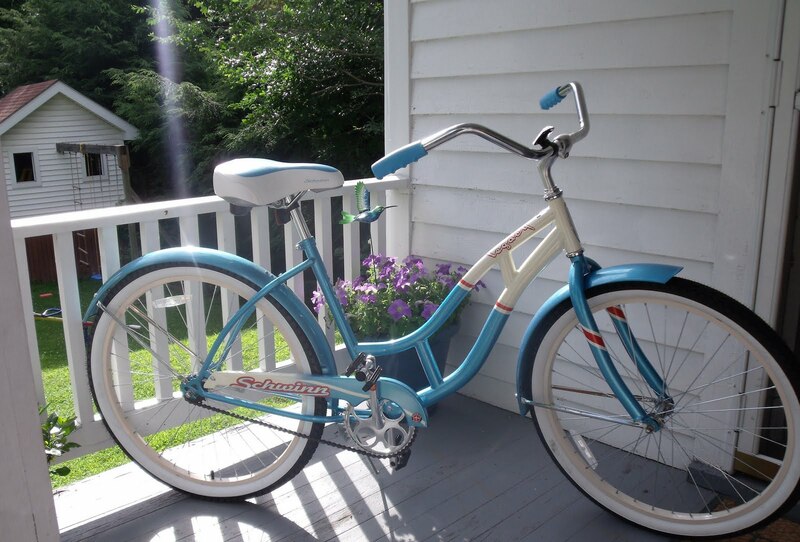 Take a spin in style this Summer with the Schwinn Legacy Cruiser! Take a spin in style this Summer! 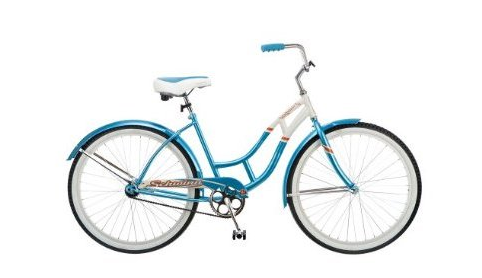 One LUCKY Reader Will Receive a Schwinn Legacy Cruiser Bicycle! MANDATORY ENTRY:Visit http://www.schwinnbikes.com/ and let me know which bike you would love to take a spin on this Summer (aside from the model featured here). The comment is considered your entry. Entry to this giveaway ends on August 2, 2011.Winner's are chosen randomly through random.org.The winner will be announced within 7 days of the giveaway ending and contacted through email. The winner will have 48 hrs. to respond or another winner will be chosen. Oh my gosh, all the Schwinn bikes look great. I really like the Merge style though (under Hybrid bikes). I follow you on Twitter - @craftykim2011. I love the cute "merge" hybrid bike. Thanks! I like Ride Schwinn on FAcebook. My fb name is A marie hj saver. I'd love to take a spin on their frontier expert. gfc follower! I would love to have and ride the Sporterra NX8 bike-how fun and "green"